Apple cider vinegar mixed with honey is a traditional home remedy for many ailments, including the common cold, arthritis and other infections. Dr. D.C. Jarvis, author of "Folk Medicine," also suggested apple cider vinegar and honey may assist in weight loss. According to medical professionals, however, consuming vinegar does not have health benefits, may have certain adverse effects and may cause throat discomfort. Jarvis, a doctor from Vermont, popularized the notion that apple cider vinegar (not white vinegar) and honey could help cure ailments, specifically arthritis and the common cold. Additionally, Jarvis suggested the combination could help in weight loss. He suggested mixing 1 to 3 tbsp. vinegar in a glass of water, then adding honey to taste, and taking the mixture before every meal. Apple cider vinegar is purported to clear cholesterol from the bloodstream, according to Jarvis. Additionally, Jarvis suggested fat is burned more easily once vinegar is present in the body. In "Folk Medicine," Jarvis said the acidity of apple cider vinegar could help curb appetite. The honey also supposedly curbs the appetite for other sweets. 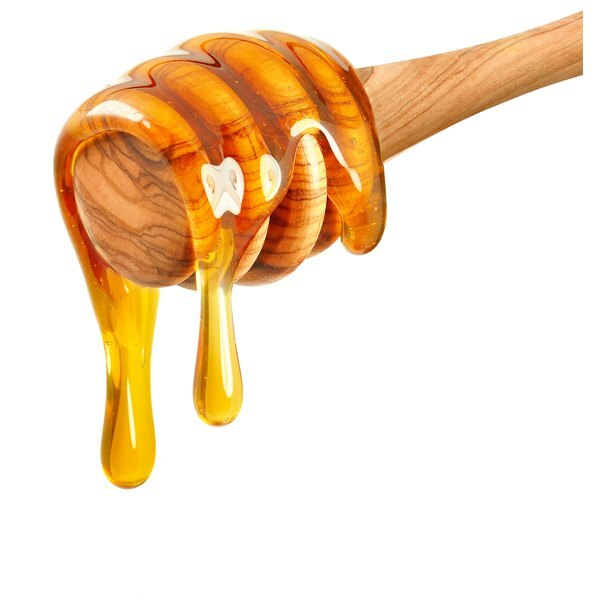 Honey has no additional weight loss benefit and is used primarily to offset the bitter taste of vinegar. According to the Mayo Clinic, no studies have shown that taking vinegar before a meal will curb appetite or help an individual lose weight. The Mayo Clinic refers to taking apple cider vinegar before meals as a fad diet, meaning it may seem like an easy way to lose weight, but it is not the most effective way. Instead, a low-calorie diet in conjunction with regular exercise is recommended. Katherine Zeratsky, a nutritionist at the Mayo Clinic, says apple cider vinegar consumed regularly may interact with some medications, like diuretics, and thus interfere with potassium absorption. If potassium is not absorbed into the body, hypokalemia can occur, causing symptoms of weakness, fatigue, heart arrhythmias and muscle cramps, according to the Mayo Clinic. If hypokalemia is severe, it can be fatal. Because apple cider vinegar is high in acidity, taking it regularly may cause throat irritation, states Zeratsky. According to a 1998 study at Innsbruck University Hospital, consuming large amounts of apple cider vinegar may also cause hyperreninemia (high levels of an enzyme called renin in the bloodstream) and in some cases osteoporosis. Karger: Hypokalemia, Hyperreninemia and Osteoporosis . . .
Mayo Clinic: Apple Cider Vinegar for Weight Loss: Does It Work?